written by Susan M. O’Dell and Joan A. Pajunen. It has been published in 1997 at John Wiley and Sons, Toronto. Butterfly customers have been spawned by the proliferation of options in the retail environment, in the last few decades, including suburban shopping malls that pulled people away from traditional downtown retail and service environments, and national chains of specialty stores that can take advantage of huge purchasing power to obtain the lowest prices for consumers. This is compounded by the fact that many consumers no longer trust retailers and service providers to deliver what they say they will, and to live up to expectations. If the three dimensions are in harmony with one another, then the customer knows what to expect (and gets it), and develops a feeling of trust with the business. If the three dimensions are out of synch, then a feeling of discomfort and distrust will develop. So, for example, if the media message about a retail environment suggests that offers upscale and quality merchandise, yet the physical surroundings suggest ‘bargain warehouse’ and the staff are surly and untrained, the customer will experience dissonance and not trust the business. (In O’Dell and Pajunen’s terms, their “trust account” will be depleted.) They likely won’t be back, having turned into a Butterfly Customer for someone else. Loyal Monarch Customers can be found in those environments where the three dimensions are in accord and support one another. The authors have developed a self assessment tool for a business (which they call a ‘3-D audit’, as it focuses on these three dimensions) and much of the book outlines the questions to be asked and procedures to be followed in undertaking this kind of assessment. Another fundamental point that they make is that there needs to be another kind of three-dimensional harmony in place for a retail or service business to work – this time between the managers, the employees and the stockholders. This underscores for them the importance of leadership in creating the kind of environment that customers will trust – as this will create profits for the business, jobs and wages for the employees, and a return-on-investment for the equity owners. One interesting point of contention for the authors that they deplore frequently throughout the book is the ‘service excellence’ feats that some other writers have lauded as examples of outstanding customer service (the sort of thing where a hotel front desk clerk charters a plane to return a briefcase that a guest has left). They say that these sorts of things are merely silly stories that raise expectations among consumers, but ultimately only end up costing everybody more (after all, somebody had to pay for that flight, most likely subsequent customers through prices that had to be raised to pay for all these feats of service heroism). 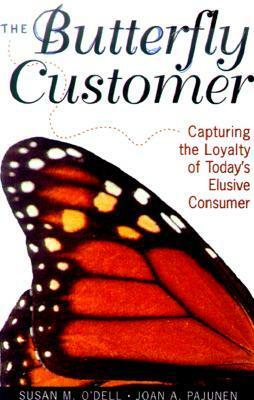 The Butterfly Customer is an interesting book, with undoubtedly several good ideas about improving retail and service offerings to attract more loyal customers. Whether it really is as possible as they seem to suggest to create and keep loyal customers in this era of ever-proliferating consumer options is an open question at this point. If you want to get yourself your very own exaple, do it here.